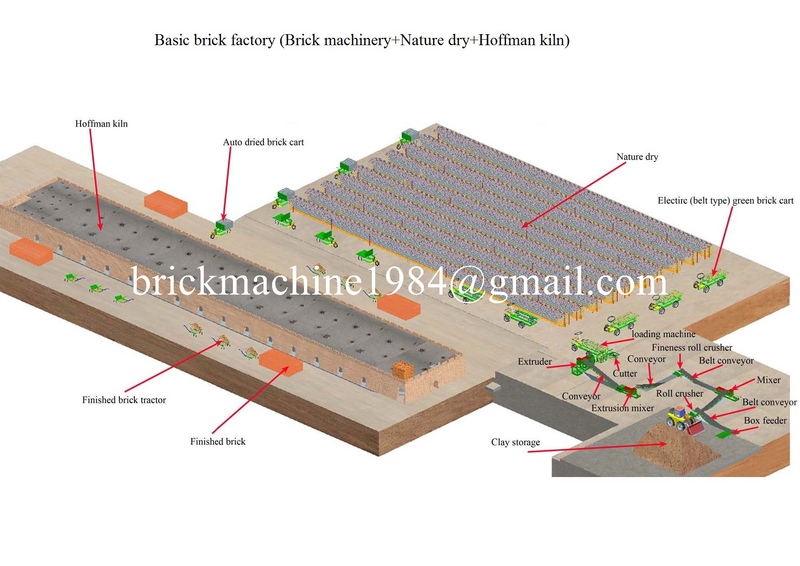 This kind of brick factory adopts the twice setting process that is soft extrusion, drying by sun and firing by Hoffman kiln.Green bricks are transported to the drying site and dried by sun during 4-7 days. Dried green bricks are transported to Hoffman kiln where they are fired to finished bricks. Disadvantages: More labor requirements, production influenced by weather condition, poor working conditions,low acceptance rate. 6) Fuel: Coal,gas,heavy oil etc..
(2) Guide customers to choose the best and economic plant, recover the investment within short time. (4) We are responsible for the offer, flow chart, and detail specification of each machinery. are valid for a period of 12 months after commissioning or 16 months after delivery whichever is earlier. c. Incoming power supply fluctuation d. Consumable and spare parts. Welcome to visit us. We are always ready to help you building brick factory.